What do you expect to see when you walk inside a seventh-grade student’s room? Books, maybe? That is not the case with Greenwood High School student Anya Seth Syed. Filled with innumerable trophies – collected in inter-school competitions, club level and also some FIDE events – her room in Sarjapur stands out by a mile. The 12-year-old began playing chess early on. As a curious five-year-old, chess for her meant moving pieces on the board. It was only in the last five to six years that she began to take the sport seriously. Syed’s parents were encouraged by her school to provide her with training outside Greenwood to strengthen her talent, and has been training for the last three-four years. “My interest in the sport really kicked in when I was eight years old as I developed a better understanding. I started to play chess competitively when I was nine years old,” Syed told CE.Syed has now featured in multiple tournaments and won first place in FIDE Open in Mysuru in the U15 category. She also finished third in the U12 category in the Mastermind Chess Tournament in Chennai. Besides that, she delivered in inter-school and club competitions too. 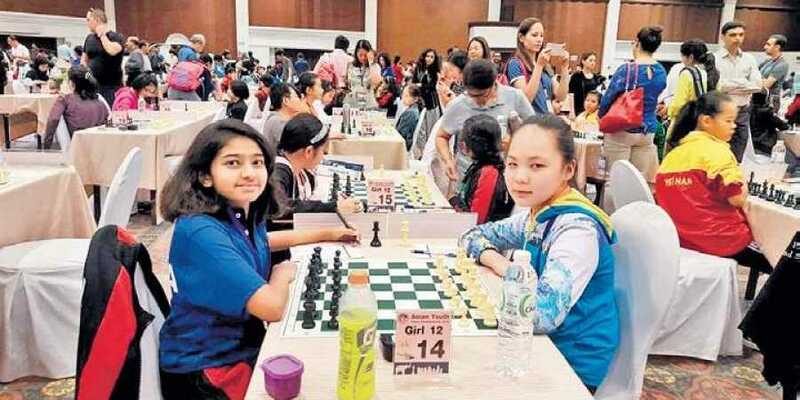 She also represented India at the Asian Youth Chess Championship in Thailand, in 2018 – her first tournament outside India. Participating in such events challenges her to strike a balance between her studies and chess. However, Syed is pleased to have supportive teachers in school. When she is away for competitions, her teachers update her about her studies. Despite her accomplishments, there is no guarantee that Syed will play professionally in the future. It depends on how she develops as a chess player in the country, which already houses some bright talents in the sport. Syed’s parents have left the decision to her. “Playing professionally depends on her. She is doing well as of now. She’ll continue playing till she enjoys it. Chess is not the only thing she does, she also sings, plays the piano and likes poetry,” said her mother, Vinita Seth.